Two simple questions can help predict whether a middle school student is at risk for abusing alcohol. Posted on March 8, 2019 at 12:40 pm. They’re just two simple questions, but they can help predict whether a middle school student is at risk for abusing alcohol years later, a new study says. One is about the student’s drinking; the other, about drinking done by the student’s friends. The questions are part of a screening developed by the National Institute on Alcohol Abuse and Alcoholism, and researchers have been studying how effective the answers are in predicting future alcohol abuse. Their findings, published this month in the journal Pediatrics, show that early drinking, or having friends who drink, corresponds with drinking one to three years later — and not drinking or having friends who don’t drink corresponds with not drinking later. The research suggests that pediatricians and other health care providers should routinely ask about alcohol use, not only by the adolescents but by their friends. Doing so could help reduce rates of underage drinking by identifying teens who need further assessment, and even being confronted with these questions could prompt students to assess their behavior, according to experts in alcohol abuse prevention. 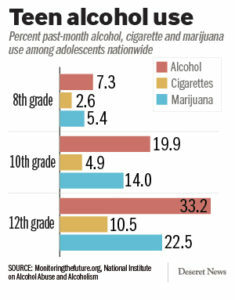 Photo courtesy of NIAAA George F. Koob, director of the National Institute on Alcohol Abuse and Alcoholism, says a teen’s peer group is likely to influence whether or not the teen drinks. 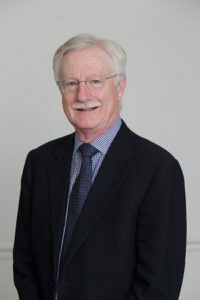 George F. Koob, director of the National Institute on Alcohol Abuse and Alcoholism, which funded the research, said the questions’ brevity contribute to their success, as does asking about the behavior of friends. “For young people, peers have so much influence over their behavior. With family members, it can go either way. Sometimes sons and daughters see all the harm that drinking has caused and don’t drink; sometimes they mimic the behavior,” Koob said. The study was the first to examine whether the screening questions the agency developed can predict future problems with alcohol, which is a factor in more than 80,000 deaths in the U.S. each year. A team of researchers, led by Dr. James Linakis, posed the questions to more than 4,800 adolescents, ages 12 to 17, who visited one of 16 pediatric emergency rooms between 2013 and 2015. They later followed up with almost half — 2,209 of the teens — to inquire about their alcohol use one, two and three years later. Although previous research has shown that alcohol use among young people rises with age, the students who reported no drinking in the first screening reported the least amount of drinking in subsequent years. Conversely, students who appeared at the highest risk initially were likely to be drinkers in subsequent years, researchers found. The questions asked of high school students were slightly different than those asked of those in middle school, reversing the order in which the students are asked about friends’ drinking. The study authors note that previous research has shown a dramatic uptick in drinking that typically occurs between the last year of middle school and the last year in high school. Nationwide, 6 out of 10 students report having consumed more than a few sips of alcohol by the time they leave high school while 24 percent have done so by eighth grade, according to the most recent report by Monitoring the Future, which tracks drug and alcohol use among young people. Because nearly 4 out of 5 people in treatment for alcohol use disorder say they began drinking alcohol in adolescence, alcohol abuse is considered a “pediatric-onset” condition, wrote Dr. Scott Hadland, a pediatrician and addiction specialist at Boston Medical Center and Boston University School of Medicine, in commentary published in conjunction with the Pediatrics report. Hadland said alcohol is a factor in up to half of the three leading causes of deaths among adolescents and young adults: unintentional injury (most of which are motor vehicle crash fatalities), homicide and suicide. “Despite the enormous attention currently paid to drug overdose mortality in the United States, it is humbling that in 2016, deaths caused by alcohol were more than double those involving opioids,” Hadland wrote. While Linakis and his co-authors say a minority of the teens surveyed will develop alcohol abuse disorder — about 1 out of every 38 teens surveyed — they say the findings support increased screening of teens to identify those that are at heightened risk. “In a recent study of U.S. hospitals that treat injured adolescents, only 18 percent reported providing universal alcohol screening,” the authors wrote. The teens participating in the survey were given tablets to answer the questions, and the researchers say it’s unclear whether the results would be different if the questions were posed by health care providers, for example, during a routine doctor’s exam. “In addition, because the study required parental permission, adolescent reports of substance use may have been affected despite our reassurances that responses were confidential,” the authors wrote. “It’s important for parents to be vigilant and to recognize that alcohol use in adolescents is not just a rite of passage, but can lead to serious problems,” Linakis said. Underage drinking has declined in the U.S. in the past decade, Koob, of the National Institute on Alcohol Abuse and Alcoholism, noted, and could decline even more if teens are routinely asked questions like this. A simple screening can turn into an intervention if the questions cause a young person to think more deeply about their drinking behavior. “We’d like to see these screens adopted widely in pediatricians’ offices as the next step,” Koob said. 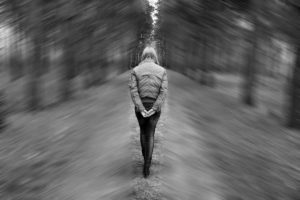 “You start thinking, ‘Maybe I should reevaluate my drinking,’ when that man or lady in the white coat asks me about it,” he said. In the meantime, parents shouldn’t wait for a visit to the emergency room or the pediatrician to start talking about alcohol with their children. The federal Substance Abuse and Mental Health Services Administration says parents should have that conversation before a child is confronted with an opportunity to drink. By not talking to their children about alcohol, parents may inadvertently contribute to their children drinking later. Express disapproval of drinking alcohol and using drugs. Show you care about your child’s health, welfare and success. Show you’re a good source of information about alcohol and drugs. Show you’re paying attention to what your child does. Give your child strategies for avoiding alcohol and drugs. The agency also offers a printable agreement that both the parents and child can sign that says, in part, for parents: I pledge to create an alcohol-free environment that is fun and safe for you and your friends. And for parents who wonder if their own drinking is starting to be a problem, Koob said there’s a website for them, too. Rethinking Drinking has information to help adults assess their drinking, and people can order or download a free “Rethinking Drinking” booklet there, too.